From the unreal throws of Yoenis Cespedes to the 500th home run of Albert Pujols, there have been tons of unforgettable moments in the first half of the 2014 MLB season. After pouring through the archives, what follows is a rundown of the 15 greatest of all. The list is littered with a mixture of historic landmarks and moments of individual genius. All the highlights that made the cut are incredible, but No. 1 is the type of play that you might just never see again. Let's take a look at the top 15 plays of the first half. With the MLB All-Star Game less than a week away, the Los Angeles Dodgers have plenty of reasons to be excited. The Boys in Blue are sending four players to Minnesota, including two first-timers in Yasiel Puig and Dee Gordon. Puig will also represent the National League in the Home Run Derby, per Bill Plunkett of the Orange County Register. But before the big league festivities kick off on Monday, the 16th annual All-Star Futures Game is scheduled for Sunday afternoon at 2 p.m. PT. This exhibition pits a team made up of U.S. prospects against a squad comprised of international prospects. The U.S. team has won nine of the previous 15 Futures Games, including the last four. Selected from the Dodgers farm system to play on each respective team were North Carolina-born shortstop Corey Seager and pitcher Julio Urias, a native of Mexico. Both players currently suit up for the Dodgers' High-A affiliate in Rancho Cucamonga, California. As Urias and Seager continue to make their way toward the highest level, here are the updated scouting reports for these two highly valued prospects. It's not surprising that at just 17 years old, Julio Urias is the youngest player in the Futures Game. He's also the youngest player in the California League, where he is holding his own in one of the minors' most hitter-friendly circuits. Urias' four-pitch arsenal includes a low-to-mid-90s four-seam fastball and a two-seamer that arrives within the same velocity range. Over the past two years, the four-seam offering has gone from 88 mph to now touching 96 mph on occasion, part of the reason why the Dodgers see so much potential in the teenager. The 5'11" lefty, who has overtaken 2010 first-round pick Zach Lee as the team's top pitching prospect, complements his hard stuff with a low-80s curveball and a mid-80s changeup. Both of these off-speed pitches are still developing but have the capability to become above-average offerings at the highest level. In 13 starts with the Rancho Cucamonga Quakes this season, Urias has fanned 55 batters in just over 51 innings pitched, good for a rate of 9.6 strikeouts per nine innings. The Dodgers have been diligent in limiting Urias' workload at this early stage of his career. He hasn't thrown more than five innings in any outing so far this season. But if Urias continues to progress at the current rate, it would not be surprising to see him pitching in the majors before he turns 20. Corey Seager is the perfect player to represent the Dodgers in the Futures Game. He may not be getting the same publicity as Triple-A outfielder Joc Pederson, and he's not as young as Urias. But Seager is tearing up the California League, and MLB.com has him ranked as the Dodgers' top prospect in advance of Sunday's showcase. At 6'4", 215 pounds, Seager is relatively large for a shortstop. Los Angeles may decide to convert him into a third baseman so he can take over the hot corner after Juan Uribe's two-year contract expires following next season. At least one scout believes Seager has the potential to become a Gold Glove-caliber third baseman, per Hall of Fame baseball columnist Peter Gammons. The younger brother of Seattle Mariners All-Star Kyle Seager has a smooth swing that allows him to spray the ball to all fields. With 17 home runs so far this season, the 20-year-old has shown solid power, which should improve with continued development. The Dodgers are banking on that development and excited about Seager's potential. Just last week, the team refused to part ways with its 2012 first-round pick during negotiations with the Chicago Cubs regarding a potential deal involving ace Jeff Samardzija, according to Ken Rosenthal of Fox Sports. Prior to being selected to the Futures Game, Seager's performance this season earned him a trip to the California/Carolina League All-Star Game last month. He currently leads the California League in OPS (1.045), hits (112) and doubles (33). The Futures Game will be broadcast live on MLB Network and MLB.com. All stats courtesy of Baseball-Reference.com unless otherwise noted. The summer trade season has officially begun. With the Fourth of July blockbuster that sent Chicago Cubs pitchers Jeff Samardzija and Jason Hammel to the Oakland Athletics, it's safe to say that the MLB summer trading market is open for business. However, with two of the more desirable names off the market in one move, the tricky part for teams looking to acquire talent this July will be finding valuable players they can afford. The Baltimore Orioles could be one of those teams looking to add help, and it will be interesting to see whether they decide to go after big-name talent or lesser players who are complementary pieces. The rumor mill has already been churning prior to the July 31 non-waiver trade deadline, and naturally the O's have been right in the middle of it. Let's take a look at the chances Baltimore will pick up any of the available names. Most laptops come with at least two USB ports on average. Some come built with as much as four. But if you transfer files from one external drive to another while printing stuff and adding songs to your iPod on the side, then you’ve got no more port left for hooking your camera or tablet or whatever else up. Not that you should be doing all of these things at once, but if you do, then you might want to get one of these 28-port USB hubs. It looks like a power strip, only instead of sockets, it’s line with USB hubs instead. As the name implies, it can accommodate up to 28 connections, from flash drives and cables to connect your camera, phone, and MP3 players with your computer. 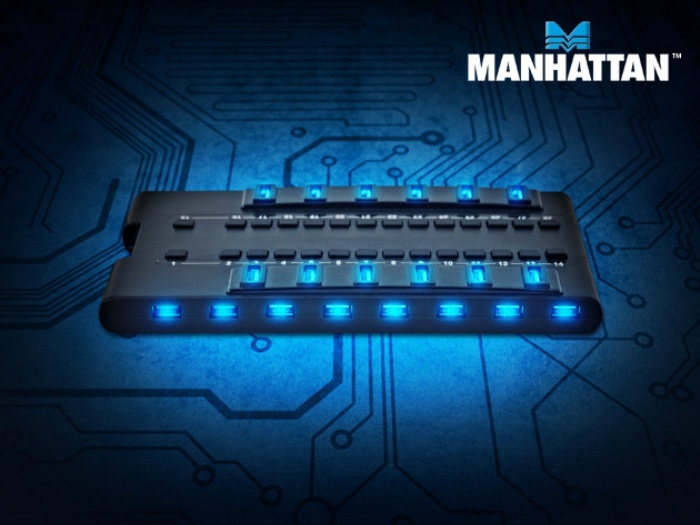 The 28-port USB hub is available online for about $62. The post The Only Hub You’ll Ever Need: 28-Port USB Hub appeared first on OhGizmo!. Although the All-Star Game is a chance for fans to see the best players in baseball, many of the stars who should be in attendance will be left at home. There are obviously a limited amount of spots on the rosters for each league, so not everyone will be satisfied. Additionally, the rule that forces every team to be represented in the game will knock more-deserving people off the list. That being said, a few men across the league are having too good of seasons to ignore. These players deserve a trip to Target Field this summer despite being overlooked. Although injuries limited him to just 13 starts this year, Chris Sale has been lights-out when on the mound. He has an incredible 8-1 record to go with a 2.16 ERA and more than a strikeout per inning. His 0.87 WHIP is tied with Clayton Kershaw for the lowest in the majors for players with at least 80 innings pitched. Sale has certainly been one of the most underrated pitchers in the majors since becoming a starter in 2012. Before that, he was even better for a year-and-a-half out of the bullpen. The White Sox have been inconsistent this season, but Sale deserves more credit for his impressive performances. He has proven himself in the past with two All-Star appearances, and this season should represent his third. The National League battle for the final spot will be a good one with Justin Morneau, Casey McGehee, Anthony Rizzo and Justin Upton all having good years. As a result, it is hard to imagine Anthony Rendon topping the more high-profile names on this list. Still, the infielder has been an anchor for a contending team that has dealt with a number of injuries this season. He has ability to stay the same in any situation. To be as consistent as he has been, you just don't see that in young guys. It's something that takes a few years to pick up on. He just has that mindset. It's not just done on the surface. That's his personality. He is very level headed along with being competitive. He wants to be the best at what he does. I love the kid. Another thing that teammates and coaches love is the fact that Rendon has been willing to change positions to help the team. He has bounced between third base and second base this season and has been solid at both positions. Rendon has a bright future at just 24 years old, but he deserves to be in the All-Star Game right away. This past winter, the Detroit Tigers took a big risk by dealing Prince Fielder for Ian Kinsler. While it is still early in the process, Fielder is out for the year, while the Texas Rangers are among the worst teams in baseball. On the other hand, Kinsler has been a star for the Tigers, hitting .304 with 11 home runs, nine stolen bases and 61 runs to rank fifth in the majors in that category. According to FanGraphs, the second baseman is eighth in the league in total WAR to this point in the year. The fact that a player of this ability is not going to the All-Star Game is a travesty. Robinson Cano and Jose Altuve are having great seasons as well and rightfully earned their spots at second base for the American League team. However, the squad can afford another player at the position considering how good of a year Kinsler has had. Then again, the second baseman will be happy to be a legitimate MVP candidate if he keeps this up for the AL Central-leading Tigers. Follow Rob Goldberg on Twitter for the latest breaking news and analysis. Masahiro Tanaka is human. After opening his major league career with three months of brilliant outings, the New York Yankees rookie has hit a wall in July. On Tuesday night, the Cleveland Indians touched the AL All-Star up for five runs, 10 hits and the worst outing of his career. Coupled with allowing nine hits and four earned runs last week in Minnesota, Tanaka has now allowed nine runs over his last two starts. Over 37 innings in the month of June, the 25-year-old allowed a total of nine runs and entered July with a streak of 16 consecutive quality starts. Now, that run is over. With it has gone Tanaka's otherworldly dominance and unbeatable aura on a start-by-start basis. While there's little reason for New York baseball fans to panic, the idea of Tanaka simply breezing through his rookie campaign without losses, struggles or resistance has now been rendered a moot and ridiculous point. With one start remaining before next week's All-Star Game, the Yankees need to find a way to get Tanaka back on the dominant track. For a team without anyone else capable of providing excellence in the rotation, the idea of Tanaka possibly hitting a rookie wall has to be a frightening thought for the AL East contenders. In the immediate aftermath of the loss, (New York) Daily News writer Mark Feinsand wondered if the league had caught up to Tanaka or if the $155 million pitcher has simply hit the proverbial rookie wall as the midway point of the summer arrives. As Feinsand wrote, it's ultimately irrelevant, because the team is counting on Tanaka to rebound soon. It looks as if Tanaka's recent struggles are more about command and deception than the league suddenly hitting his best offerings. Over his last two outings, Tanaka has posted an 8-1 strikeout-to-walk ratio, almost a point better than the 7.22 mark he took into play on July 8. If the Yankees ace was nibbling or walking an excessive number of batters, it would be time to worry. Instead, it looks as if good left-handed hitters, specifically Michael Brantley and Carlos Santana of the Indians, have been able to detect his split-fingered fastball and lay off the devastating out pitch. This could be a sign of scouts finally delivering usable and accurate reports on Tanaka's skill set, movement and deception. Or, the more likely scenario: Tanaka hasn't executed his delivery, pitches or set the opposition up enough over his last two outings. Regardless of where Tanaka's struggles stem from, adjustments are now necessary. Even if you believe the Yankees landed a legitimate Cy Young contender in the first year of a lucrative, long-term deal, no starter avoids a clunker or two over the course of a 30-plus-start season. The rookie wall was inevitable despite Tanaka's excellence, work ethic and skill level. In fact, considering that New York took home a victory in Tanaka's start last week against the Twins, sounding the alarm around a pitcher that owns a 2.51 ERA is probably over the top. If not for a 2.10 ERA and 11-3 ledger across April, May and June, perhaps these two subpar outings would be lost in the shuffle of a long season. Even with New York's 24-hour news cycle and passionate fans, the idea of fretting over two below-average starts in early July isn't par for the course among Yankees supporters. In this instance, Tanaka is a victim of his own early success in Major League Baseball and recent dominance in Japan. When baseball's latest international sensation began his Yankees career with a personal 6-0 ledger, it was natural to reference the impossible replication of the 24-0 win-loss record he posted during his final season in Japan. After allowing four runs to Minnesota last week, Tanaka referenced his inability to hit spots and make the pitches he needed to throughout the game, per Feinsand. "This outing was one of my worst ones this season as far as hitting the spots and making pitches," Tanaka said. Once again, location, not stuff or velocity, was the issue. When Tanaka was hitting his spots against the Twins and Indians, outs followed. As you watch him fight through this stretch, look for location and command on Sunday night against the Baltimore Orioles. Over the next few days, some fans might panic or claim that Tanaka is tired due to pitching more often in America than he did in Japan. While those are interesting talking points, don't be fooled into thinking that back-to-back non-quality starts are anything more than a rookie starter going through a rough patch commanding his pitches. When a star sets the bar so high from the start of the season, there's almost nowhere to go but down as the summer transpires. For Tanaka and the Yankees, this is a reality of a full season in the big leagues. As the second half of the season commences, don't be surprised if one of baseball's best pitchers replicates his June success. Comment, follow me on Twitter or "like" my Facebook page to talk about all things baseball. Statistics courtesy of Baseball-Reference.com, FanGraphs and ESPN unless otherwise noted. The Futures Game has always been a big part of MLB’s annual All-Star Weekend festivities. The game—which features a matchup of the United States team vs. the World team—allows fans to catch a glimpse of baseball’s next generation of stars in action. The Toronto Blue Jays will have left-hander Daniel Norris and outfielder Dalton Pompey represent the organization at the Futures Game this year. Interestingly, Blue Jays fans might even find themselves a bit divided when watching the game as Norris will represent the U.S. team, and the Canadian Pompey will represent the World team. Let’s take an in-depth look at both of these prospects. *All stats are from milb.com and are current entering play on July 8, 2014. Los Angeles Dodgers outfielder Yasiel Puig channeled his inner Dikembe Mutombo on Tuesday night after what looked like an incredible out was overturned. Originally, Detroit's Torii Hunter was called out at second after a laser from Puig from right field. However, an official review overturned the call. Puig was upset about the reversal and jokingly gave Hunter a finger-wagging, letting him know what he thought about the call. Four days ago, the Oakland A’s threw all their chips into a 2014 World Series title run when they acquired Jeff Samardzija and Jason Hammel from the Chicago Cubs. The A’s paid a hefty price to reel in two of the most prized free-agent arms. Shortstop Addison Russell—the A’s top prospect and the No. 12 overall prospect in the MLB—and outfielder Billy McKinney—the A’s No. 2 prospect—were sent to the Cubs farm system, which is now overflowing with talent. In the wake of this latest move by the A’s, it seems a bit anticlimactic to utter the word “future” when talking about this ballclub. After all, giving up prized minor-league talent for quick-fixes shows that 2014 is the team's focus. With the best record in the majors at 56-33, who could blame them? But with the onset of the 16th annual SiriusXM All-Star Futures Game and Stockton Ports (the A's Single-A affiliate) third baseman Renato Nunez earning a second consecutive selection, it is important to understand that all is not lost for the A’s minor league system. The 20-year-old Nunez was scorching hot right before he was selected to the World All-Star team and then proceeded to justify his selection by continuing to obliterate Single-A pitching. Over the past three weeks (a span of 20 games), Nunez has launched 11 home runs and gapped five doubles, culminating in an absurd .408/.489/.908 triple slash line. Nearly every Rotoworld update on him simply states that he had another multi-homerun game or another pedestrian four-hit game. Just past the midway point in his second full season, Nunez has 20 home runs, 57 RBI and a .287 batting average. Nunez was signed out of Venezuela in 2010 and is currently in the Class A-Advanced California League. With the departure of Russell, Nunez has jumped to the No. 4 prospect in the A’s organization, and if he continues to swing a white-hot bat, he will likely be promoted to the Double-A Texas League in the near future. The A’s project Nunez to reach the big leagues by 2016, according to their official scouting report. Though his arm is above average (rated a 55 on a scale of 80), Nunez will likely be converted into a first baseman, since his footwork and hands will eventually become a liability at the hot corner. Judge for yourself after watching this video. The A’s organization once worried about Nunez’s patience at the plate, as the 6’1", 185-pound right-handed hitter has a track record of striking out because of an overly aggressive approach. However, in the span of a year, Nunez has decreased his strikeout rate from 25.0 percent in 2013 to 19.8 percent in 2014 and has increased his walk rate from 5.1 percent in 2013 to 7.4 percent in 2014. Players from all full-season minor leagues were eligible for an All-Star selection. Nunez was the lone member from the A’s organization who was chosen. But to reiterate a point, Nunez is the A’s No. 4 prospect. This means that the organization rates three players better and more advanced than a two-time minor league All-Star, who ranks second in the California League in home runs, ninth in RBI and ninth in slugging percentage. So when second-guessing the A’s decision to part with their two top prospects in Russell and McKinney in order to maximize their chances at a title run this year, just remember that Renato Nunez and company are blazing a hot trail to O.co Coliseum. Here is a video of Nunez hitting some bombs in last year’s minor league home run derby to help with that. Follow Jacob Garcia on Twitter @Jake_M_Garcia or connect with him on LinkedIn. With the 2014 Home Run Derby coming Monday, July 14—that's less than a week away!—and most of the players participating having just been picked, it's time to evaluate and grade the jobs done by Troy Tulowitzki and Jose Bautista, the captains who did said picking for the National and American Leagues, respectively, on Tuesday evening. Before that, though, here's a quick reminder that there are a few noteworthy changes this year: the field is expanding to 10 sluggers, the number of outs per hitter has been reduced from 10 to seven, and the competition will play out in a bracket format. Oh, and the final two participants will be announced Thursday to round out each side with five hitters. While it would have made all our dreams come true to get to see the likes of Jose Abreu, Mike Trout, Miguel Cabrera, Nelson Cruz and Edwin Encarnacion, among others, swing (and swing and swing) for the fences, invitations were declined and injuries were suffered. That can't be held against the captains too much, however—in particular Bautista, as that lot hails from the AL. There are two quirky aspects of this derby field as it's currently constituted. First, all eight contestants, including Tulowitzki and Bautista, hit from the right side. And second, only one has any previous derby experience, but at least it's the winner of the event last year at Citi Field in New York. Rather than evaluating Tulowitzki and Bautista as hitters themselves—it's safe to say they pass with flying colors anyway—this is all about grading their abilities to coax intriguing and exciting names into the act of hitting as many balls out of Target Field as humanly possible next week. The grades are based on factors both objective (number of career home runs, average distance of home runs hit this year) and subjective (Q rating). Here are the grades of the six selections so far, listed in the order Bautista and Tulowitzki announced them on SportsCenter on Tuesday evening. The 2014 Home Run Derby will have a very different look about it. In an effort to speed up the pace and pique interest in the annual showcase, Major League Baseball has tweaked the rules of the derby significantly. There will be only seven outs per round, and after each of the 10 hitters steps to the plate for the first time, the contest will transition into a bracket format. Not only that, but some of baseball's brightest and most powerful young stars—Yasiel Puig and Giancarlo Stanton, specifically—will participate for the first time. Unfortunately, they won't be joined by MLB home run leader Nelson Cruz, or Miguel Cabrera and Mike Trout, arguably the two best hitters in the majors. Still, even without Miggy and his delusion, Target Field won't be lacking excitement on Monday night. Let's take a look at the list of participants. The Rockies have struggled in the first half of the MLB season, but Troy Tulowitzki has been the National League's best individual player. He is first among all qualified hitters in batting average (.349), first in on-base percentage (.442) and second in slugging percentage (.602). Still, there aren't many hitters on the planet who can get into a rhythm at the plate better or faster than the 29-year-old superstar. Tulo may not break any distance records, but don't be surprised if he gets into a groove and puts up some big numbers. The American League's leading vote-getter has participated in the derby twice before. He hit just four dingers at Chase Field in 2011, but bounced back with a trip to the final in 2012 before eventually falling to Prince Fielder. So he has the experience, and he certainly has the power. Joey Bats led the majors in home runs in both 2010 and 2011, and this year he has smashed another 17 to help the Jays to the most four-baggers in the majors. Need a reason to root for him? He probably follows you on Twitter. It's only right that last year's champion is back to defend his title. Yoenis Cespedes put on one of the best derby shows of all time at Citi Field last year, blasting 17 home runs in the first round and needing just five outs to smash nine and beat fellow youngster Bryce Harper in the final. CBS Sports' Matt Snyder put it simply: "Cespedes is the defending champ. We don't need to get into what he might do, because we saw his ability last year." The 28-year-old's numbers this year aren't overwhelming. He has 14 home runs and is slugging .467, but his powerful skill set is tailor-made for this kind of competition. He will bring his A-game once again, and considering the AL field, there's a good chance he makes it to the finals. Puig can hit zero homers, or he can smash a handful of 500-foot home runs. Either way, his participation will undoubtedly help the contest's popularity. This is an absolutely stacked field, but Stanton is primed to thrive in this type of environment. He'll send "oohs" and "ahhs" ringing throughout Target Field all night, and he'll take home the trophy. Los Angeles Dodgers phenom Yasiel Puig was among the more notable absences from MLB All-Star weekend last year, as he was just 38 games into his big league career. This year, his talents will be on full display at Target Field in Minnesota, and he has a chance to steal the show. Not only was he voted to start in the NL outfield, joining Andrew McCutchen and Carlos Gomez, but it was also announced on Tuesday that he will participate in the Home Run Derby. Colorado Rockies shortstop Troy Tulowitzki (18 HR) was named the captain of the National League side, so it was him who selected Puig to participate. "He has tremendous power, watching him from afar," Tulowitzki told Thomas Harding of MLB.com last week when mentioning Puig as a potential candidate. Toronto Blue Jays outfielder Jose Bautista (17 HR) will captain the American League squad, and he'll be joined by reigning champion Yoenis Cespedes (14 HR), Baltimore Orioles center fielder Adam Jones (16 HR) and second baseman Brian Dozier (16 HR) of the host Minnesota Twins. Miami Marlins slugger Giancarlo Stanton (21 HR) and Cincinnati Reds third baseman Todd Frazier (17 HR) will join Puig and Tulowitzki on the NL side. One more participant from each league has yet to be announced, per an MLB press release. Nelson Cruz, Miguel Cabrera and Mike Trout all declined invitations from Bautista to swing it for the AL side, according to Mike Axisa of CBS Sports. Trout noted that he'd rather take the event in as a spectator, while Cabrera didn't want to mess with his swing. Puig was hitting .344/.436/.615 with 11 home runs at the end of May, ranking as one of the most productive hitters in baseball. However, he's hit just .252/.324/.362 since the start of June. Recent struggles aside, Puig was made for this kind of event. He has tremendous raw power and has always played with a flair that borders on cocky. Now he'll legitimately be the center of attention and have a chance to put on a show on the national stage. Puig will be looking to follow in the footsteps of fellow Cuban defector Cespedes, who put on a show in last year's Derby with 17 home runs in the first round and 32 overall on his way to claiming the trophy. Moonshot home runs are what the Home Run Derby is all about, and while Puig ranks just 27th in the NL in long balls, his average distance of 417.3 feet is good for third in all of baseball. We could dive into all sorts of advanced statistics for Puig and his power numbers through his first year-and-a-half in the league, but instead let's just watch some video of his more notable bombs. The one disappointing part of Puig in the Derby? No bat flips. Who knows, maybe it will come down to a slug-off to end it, and Puig can still work a bat flip in with a walk-off winner. Regardless, Puig in the Derby should make for good television. With one final outing scheduled before the the All-Star break, Milwaukee Brewers starting pitcher Marco Estrada is three home runs away from setting the National League record for most homers allowed before the break, per ESPN's Jayson Stark. Estrada surrendered his 27th long ball of the season in Monday's 3-2 loss to the Philadelphia Phillies, with Phillies second baseman Chase Utley doing the honors. Despite all the home runs and his ugly 4.96 ERA, Estrada only saw his record fall to a still-respectable 7-6 with the loss. While his season has largely been defined by negatives, the 31-year-old right-hander should be able to avoid an unfortunate piece of history, as his final start before the break will come Saturday against a St. Louis Cardinals team that ranks last in the National League with just 53 home runs this season. When he faced the Cardinals on April 15, Estrada put forth one of his two homer-less performances this season, though he still allowed three runs over six innings. According to ESPN's Stark, the National League record of 29 first-half home runs allowed is shared by Phil Niekro, Fergie Jenkins and Jose Lima. As for the season-long mark, Lima stands alone in that category, having served up 48 long balls during the 2000 campaign while playing for the Houston Astros, per Baseball Almanac. Including both leagues, Bert Blyleven set the standard by allowing 50 home runs as a member of the Minnesota Twins in 1986. Judging by his 4.96 ERA, Estrada likely won't remain in the rotation long enough to challenge either Blyleven or Lima if he keeps going this way. Arizona Diamondbacks first baseman Paul Goldschmidt hit his 33rd double of the season in Monday's 9-1 win over the Miami Marlins. According to the team's official Twitter account, that set a new franchise record for most two-baggers before the All-Star break. The record-setting hit came in the fourth inning of Monday's game, when Goldschmidt smacked a double to right-center field, scoring rookie outfielder David Peralta from third base. While the double itself was impressive, it didn't have much impact on the outcome, as the Diamondbacks already held a 6-0 lead at that point. Goldschmidt's RBI pushed it to 7-0. According to Dave Zorn of 24/7 Sports, the Diamondbacks' previous record holder for most doubles before the All-Star break was Luis Gonzalez, who hit 32 prior to the Midsummer Classic back in 2003. Widely regarded as the most prolific hitter in the franchise's brief history, Gonzalez is the Diamondbacks' all-time leader in batting average (.298), home runs (224), doubles (310), RBI (774) and runs (780), among other categories. Though he has a comfortable lead in most of those categories, Gonzalez will likely see many of his franchise records fall to the 26-year-old Goldschmidt, who already has 80 home runs, 292 RBI, 279 runs and 121 doubles through just 443 career games. Assuming he stays in Arizona for the long haul, Goldschmidt—owner of a .294/.382/.526 career slash line—is well on his way to stealing Gonzalez's title of best hitter in Diamondbacks history. With his 124th hit of the season in Monday's 12-7 win over the Texas Rangers, Houston Astros second baseman Jose Altuve set a new franchise record for most hits by one player before the All-Star break, per CSN Houston's Julia Morales. The previous record holder was first baseman/left fielder Bob Watson, who recorded 123 hits before the break for the Astros in 1973, according to MLB Stat of the Day on Twitter. In the midst of an incredible season, Altuve reached 124 hits with five games remaining before the break, leaving plenty of time to pad his record-setting total. While it certainly helps that he has only missed three of his team's 91 contests this season, Altuve has also been excellent on a per-game basis. He carries a robust .338/.378/.436 slash line into Tuesday's game against the Rangers, with his .338 batting average ranking first in the American League and second in all of baseball, just 11 points behind the .349 average of Colorado Rockies shortstop Troy Tulowitzki. Adding to his impressive season, Altuve also leads the American League with 39 stolen bases, putting him three behind Los Angeles Dodgers second baseman Dee Gordon (42) for the major league lead. Gordon has been caught stealing nine times, while Altuve has incredibly been thrown out just three times. Always a good contact hitter, Altuve has taken his game to the next level this season by shrinking his strikeout rate to a microscopic 6.6 percent, best in the majors among all qualified players, according to FanGraphs. On pace to finish the year with 221 hits, Altuve is primed to record just the second 200-hit season in Astros history, with the feat previously accomplished by Craig Biggio in 1998, per MLB.com. Los Angeles Dodgers pitcher Josh Beckett is in the midst of a great season, but it appears that a hip injury will slow him down temporarily. Beckett discussed the issue after the game, saying, "I tweaked the hip. It's been bothering me. We'll see where we're at tomorrow. It's been a little more of a battle the last couple of weeks. The day I pitch is the best I feel all week," via Ken Gurnick of MLB.com. Fortunately, the unit's overall depth should help mitigate the loss. Pedro Baez, who the team recalled from Triple-A Albuquerque to replace Beckett, allowed two runs in his only career inning with Los Angeles earlier this season. He has compiled a 3.54 ERA in 34 games in Double-A and Triple-A this year. Beckett will be available to return on July 22, provided that his DL stint lasts only 15 days. If the Dodgers are going to keep ahead of the San Francisco Giants in the NL West and make a run this year, they'll need Beckett healthy for the long haul. A group of San Diego graffiti artists are using their talents to honor a local legend. Tony Gwynn played his entire 20-year career with the San Diego Padres, and he is affectionately known as "Mr. Padre." He passed away last month at the age of 54 after a battle with cancer. Now the Wildstyle Technicians are putting together a mural of the late Gwynn on the wall of a boxing gym, with permission from the owner, on 16th and J streets. Gwynn may have been a baseball player, but he influenced everyone, regardless of profession. "The way he mastered his craft is what we try to do as graffiti artists, so when he passed, immediately in our minds we wanted to do a tribute mural," said Justice Romero, via ABC 10 News' Kandiss Crone. Mr. Padre may be gone, but he will not be forgotten. The Wildstyle Technicians want to make sure that generations to come know about the Hall of Fame outfielder, even if they never saw him play. He's larger than life. Hopefully it will bring smiles to people's faces 'cause Tony Gwynn had a huge great smile. A mural is the perfect way for these artists to honor Gwynn. Peavy had spoken earlier in the day with Red Sox general manager Ben Cherington, who told him the Sox were talking to teams interested in trading for him. This past Sunday, the St. Louis Cardinals sent a scout on a one-day mission to see Peavy pitch. The Cardinals had made a strong bid for Peavy before July 2013's trading deadline. 'I was told that it was really close,' Peavy said. Although the Boston Red Sox aren't quite out of it in the American League East race with nearly half the MLB season left to play, they could be on the verge of trading away starting pitcher Jake Peavy. Despite allowing just one earned run, the Red Sox lost Peavy's most recent start and find themselves 10 games behind the O's for the division lead. Peavy has been a victim of poor run support recently, but he put the onus on himself in the wake of that defeat, according to Tim Britton of the Providence Journal. "I take responsibility for it," Peavy said. "I've got to be better. We've got to win on this day. That's all there is to it. I'm as sick of it as you guys are." The defending World Series champions may be forced to go into sell mode at 39-50 with the trade deadline quickly approaching. If that is the case, then Peavy is an obvious candidate to move since he has a $15 million player option next season, per Rotoworld. St. Louis already has one of the best starting rotations in the league when health, but Michael Wacha, Jaime Garcia and Joe Kelly are all currently on the disabled list. That leaves a strong core of Adam Wainwright, Shelby Miller, Lance Lynn and Carlos Martinez, but Peavy could be the missing puzzle piece. He isn't the same pitcher who won the 2007 NL Cy Young Award with the San Diego Padres, but the savvy 33-year-old knows how to pitch. His 1-7 record and 4.64 ERA this season are certainly disappointing, but a change of scenery may be just what he needs to turn things around. The Cardinals have had a consistent winning culture over the past several years and are just four games behind the Milwaukee Brewers in the NL Central despite dealing with several injuries. They are still in decent position to nab a wild-card spot as well, but they need another arm. Peavy is an ideal fourth or fifth starter for a contending team due to his experience. He probably wouldn't cost the Cardinals a ton either, so it is definitely worth it for St. Louis to take a chance on him. Trading him may suggest that the Red Sox are throwing in the towel on the season, but they aren't winning with him and have to make moves with an eye toward the future. Earlier in the 2014 season, pitcher Brandon Maurer’s future with the Seattle Mariners was in serious doubt. Much like the year before, Maurer was forced into the starting rotation due to injuries and struggled, posting a 7.52 ERA (5.37 FIP) in seven starts while walking nearly as many as he struck out. Although he just turned 24 years old, Maurer didn’t look to have a place in a healthy Seattle rotation, either in the present or in the future. He was sent down to Triple-A Tacoma on May 29. The Mariners surprised by calling up Maurer on June 25, a few days before Taijuan Walker returned from a shoulder injury and took over the No. 5 rotation spot. Even more surprising, Maurer came out of the bullpen that night in the late innings of a close game rather than the long-relief role he was placed in near the end of 2013. Maurer didn’t just look better on June 25, he looked dominant. In seven scoreless innings out of the bullpen so far, Maurer has given up only three hits and two walks while striking out nine. Seven innings isn’t enough to judge anything statistically, but it’s becoming increasingly apparent that Maurer’s ideal fit was in the bullpen all along. Maurer has always had the raw stuff to be successful. He used a lively mid-90s fastball and assortment of various off-speed pitches to dominate the low minors, racking up strikeout rates north of 30 percent along the way. The strikeouts came back to earth a bit in Double-A as Maurer began to struggle with his command, but he still posted a 3.20 ERA and gave up just four home runs in 24 starts. Seattle needed a starter at the beginning of the 2013 season and decided to have Maurer skip Triple-A to join the rotation. It didn’t work, as Maurer looked completely overmatched as a major league starter. We can’t know how much those initial struggles impacted his confidence or mentality, but he continued to be ineffective for the rest of the year and early on in 2014. Then the breakthrough came on June 25 against the Boston Red Sox, as he struck out the side in his first relief inning. We’ve seen Maurer’s fastball sit around 95 or 96 mph before, but it has hit 99 several times since his move to the bullpen. With as lively as his fastball is, the increased velocity is going to be a challenge for opposing hitters. Maurer said pitching short outings out of the bullpen has improved his mentality, per Greg Johns of MLB.com. Maurer has also been using his slider effectively as an out pitch since moving to the bullpen. Data from PITCHf/x on FanGraphs.com indicates Maurer has done a good job of getting hitters to chase his slider out of the strike zone, generating a swinging strike percentage of 17.4. It’s when Maurer tries to mix and match his other three pitches that he runs into trouble. Only having two plus pitches won’t work for a starter, but it can make for an effective short-inning reliever. It’s still too early to think about prepping Maurer for a closer role one day, but he has the makeup and stuff for it. Maurer’s command issues as a starter made him prone to big innings, even on the few occasions he started well. He also tends to throw far too many pitches, lasting past the fifth just once this year. Both are things Maurer won’t have to worry as much about coming out of the bullpen, which could further help his mentality on the mound. The other scenario Maurer’s conversion opens up is using him as a potential trade chip. If he continues to look dominant as the deadline approaches, the Mariners could use the opportunity to sell high on him in an attempt to get the right-handed bat they desperately need. Seattle’s bullpen has been outstanding all year, leading the majors in ERA while striking out over a batter per inning. It would be nice to have yet another power arm in the bullpen, but the Mariners can survive without Maurer should a trade open up. Just months after he looked lost, Maurer’s future is brighter than ever.